"In recognition of your distinguished career and outstanding contribution to public policy in Canada"
Mr. Don Drummond was also presented with Sandulak's polar bear sculpture titled "Northern Titan". Mr. Drummond with the Executives of the Association and with Janet Ecker, Emcee for the evening. 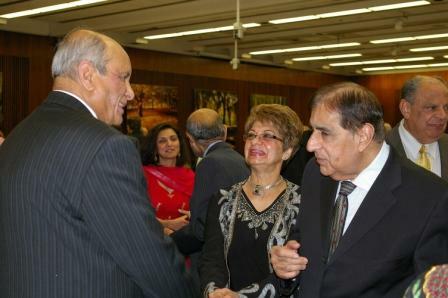 Mr.Sadruddin Darveshali and Mrs. Shahnaz Darveshali who have been supporting the Association since its inception, with Mobeen Khaja. 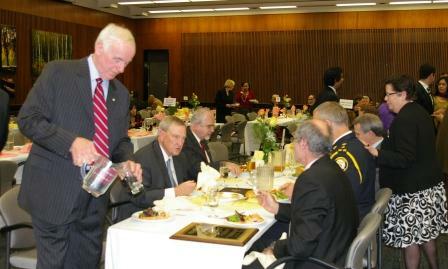 The Head Table: Mr. Charles Coffey, O.C., standing . 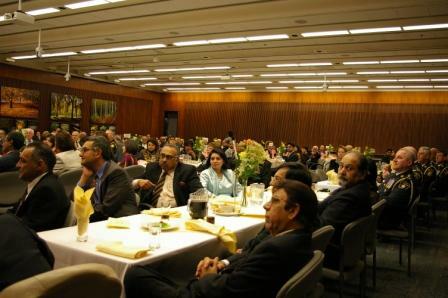 Sitting beside him is Honourable Gerry Phillips, a Senior Minister, Government of Ontario. 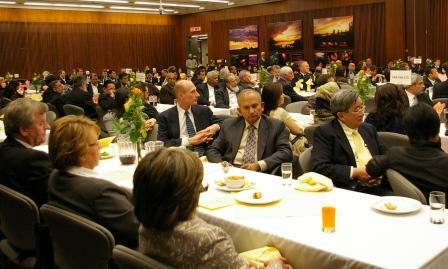 Seated at the table on the opposite side are Mr. Don Drummond and Chief Blair of the Toronto Police Services. 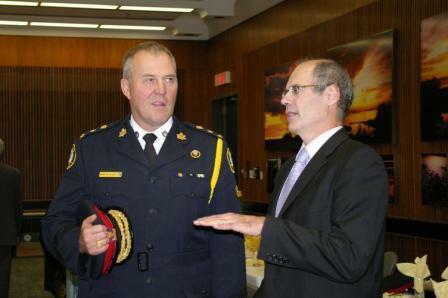 Chief Bill Blair of the Toronto Police Services and Mr. Don Drummond. Mr. Imtiaz Seyid, Vice President South Asian and Middle Eastern Markets, RBC Financial Group (centre). 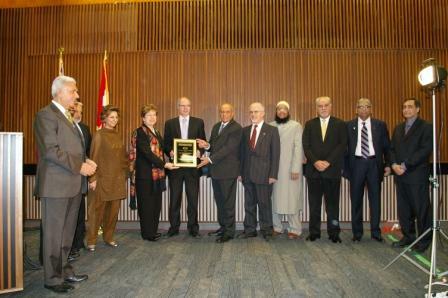 RBC was the first bank that started supporting the Association soon after its inception.